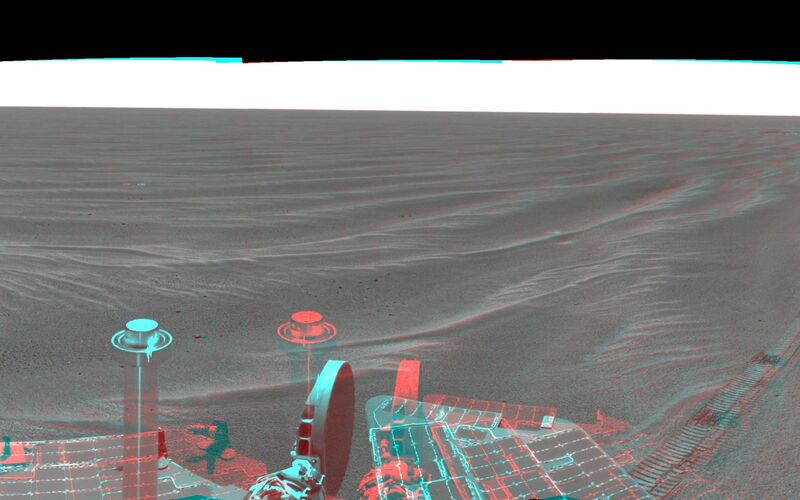 NASA's Mars Exploration Rover Opportunity used its navigation camera on the rover's 381st and 382nd martian days, or sols, (Feb. 18 and 19, 2005) to take the images combined into this 360-degree panorama. 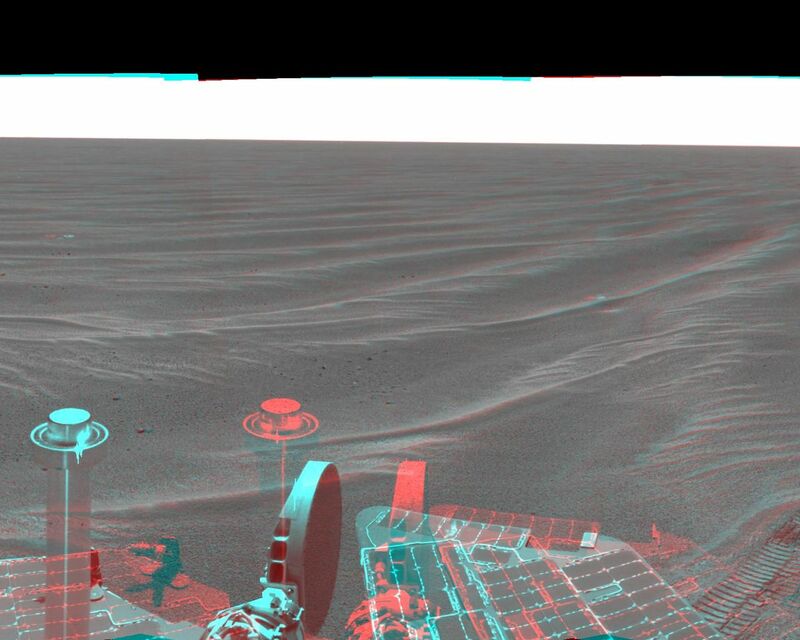 Opportunity had driven 64 meters (209 feet) on sol 381 to arrive at this location close to a small crater dubbed "Alvin." 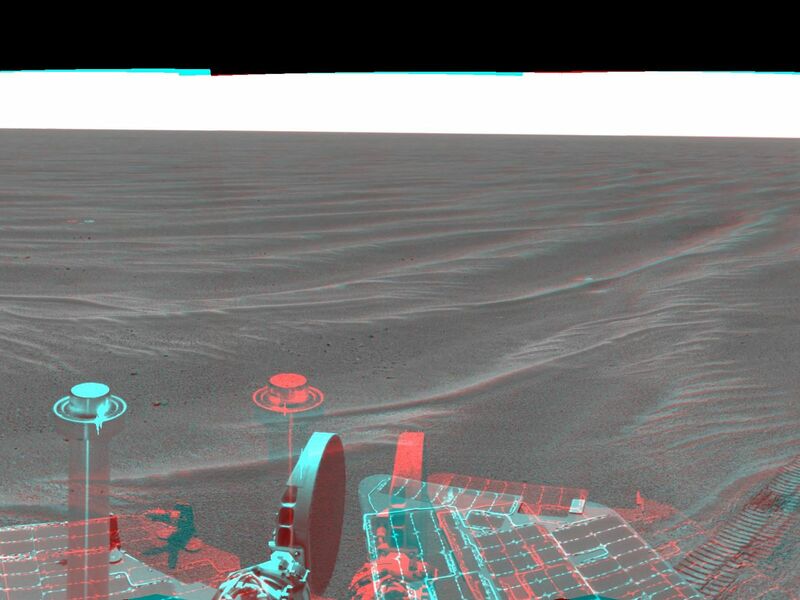 The location is catalogued as Opportunity's Site 43. This view is presented in a cylindrical-perspective projection with geometric seam correction.